NATURE CARBON is a global leader in the research, development, manufacturing and sale of high-grade activated carbon used in a growing range of environmental, food and pharmaceutical industry, automotive and chemical industrial applications, Military Defensive Protect etc. Further more, NATURE extend its production to Activated Carbon Fiber, Anthracite Filter Media, and Filter Cartridge. 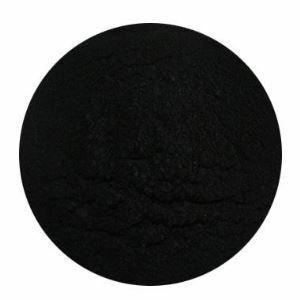 Nature Carbon is one of the largest activated carbon manufacturer of China with annual production of 20,000 tons of wood based activated carbon, coal based activated carbon, coconut shell based activated carbon, including 12 series and 80 kinds of activated carbon products. They are widely used in the air purification and water treatment, decolorize and odor removing of sugar monosodium glutamate, grease, wine and food industry, pharmaceutical, organic solvent recovery, oil and gas recovery, military defensive protect, electronic and energy industry etc. Nature is a member of the China Activated Carbon Industry Association, our engineering Group based in Hangzhou supply a range of standard and engineered solutions. This is backed up by a support network of Engineers, Technicians and a Technical Service Laboratory developing solutions for an expanding range of applications. Nature Carbon owns advanced scientific research equipment and strong technical team, and the large activated carbon production and R&D base,we holds the highest standards in the development, testing, and production of its products. Relying on the innovation and advancement of technology, scientific management system, and the advanced equipment, through establishing ISO9001 quality system and restrict quality control process, we keep our quality stable and in top level. We distributed our products to EU, USA, Japan, Middle East, Russia, Africa and Southeast Asia etc successfully. Nature Carbon established closed cooperation with many top international activated carbon brands, and become their OEM production base of China. Now more than half of the international famous activated carbon brands are the closed cooperation partner of Nature Carbon. Nature Carbon Insist on the managing policy of "High-integrity and Quality Priority", insisting on the business philosophy of “Best friend, Best Partner”, we have obtained the trust and praises from our customers. We will be the most innovative, respected and responsible leader in activated carbon industry.